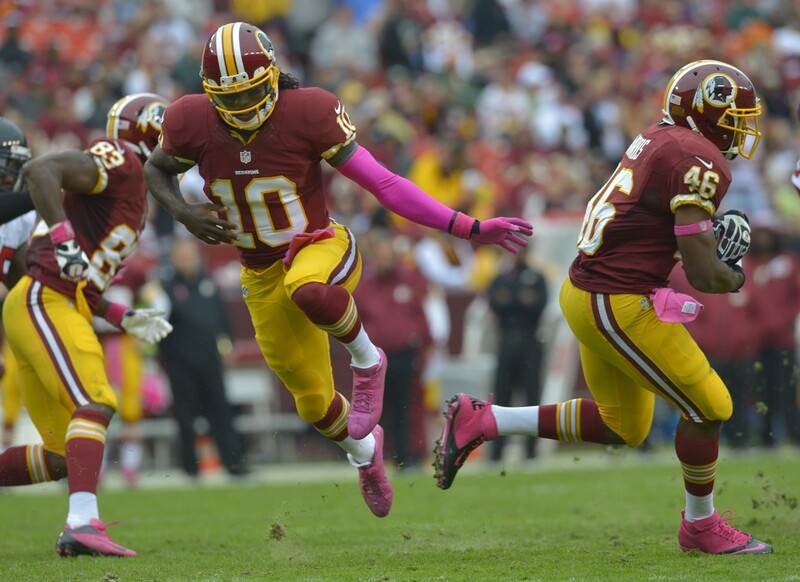 All eyes on Robert Griffin III as he returns from off season knee surgery. Think back to that dark January evening, when Washington Redskins quarterback Robert Griffin III, fell awkwardly fumbling the football on his last play of the game. More than the Redskins faithful held their collective breath as he was helped to the sideline. It initially looked like the Redskins had lost more than a wild card playoff game to Seattle, for a period it lost faith and trust in head coach Mike Shanahan as well. Why would you risk your injured star quarterback and jeopardize his career?? Clearly RG III is one of the most electrifying talents the NFL has had in more than a decade. His jersey has been among the most popular sold during the 2012 NFL season. When it was learned that he would have to go through another knee reconstruction, the NFL fan base held their collective breath. After months of what sounded like wishful thinking, Griffin III made it to pre-season camp on time to run one play with a knee brace before coaches sent him in to get it. The sigh from Redskin fans could be heard nationwide, and now we have to assess this team moving forward. How will the Redskins fare defending their NFC East title?? For the first time since 2000, the Redskins are the team to beat in the NFC East, this time based from on-field performance. Quarterback: We just covered the importance of Griffin III’s return. Although he and Andrew Luck were compared throughout the 2012 season, it was RG III’s performance that gained momentum as the season progressed. Forgotten amid his off season recovery is the fact the Redskins ended the season on a 7 game winning streak after a 3-6 start. The NFL’s fifth best offense was powered by a QB who completed 65.6% of his passes (258 of 393) for 3,200 yards 20 TDs and only 5 interceptions. However it was the stretch plays using the read option that saw Griffin explode for 815 yards and another 7 touchdowns. Yet there is more to talk about than meets the eye. He made his teammates believe they could win every game. The Redskins broke a 9 game losing streak at home when they topped the Vikings 38-26 in week 6. Now they come in with a 4 game winning streak at home and more important, come in with a 5 game winning streak within the division. In a winner take all game against the hated Dallas Cowboys in the finale, RGIII outperformed Tony Romo in a 28-18 win. As long as he retains his ability to keep plays alive and stretch them with the “read opion” from The Pistol, right now defenses don’t have an answer. The beauty in the mechanics of the play are linebackers are slow to get in position to defend intermediate passes. Griffin showed the touch to make those throws as much as he deftly handed the ball off, or took advantage of a defensive end crashing down. He does need to slide more when the hit is inevitable or run out of bounds. As for defenses against him, expect teams to crash the front part of this play and delay blitz on the outside. They will have to take this play away and make him a pocket passer only. He’s showed the ability to be ahead of defenses at this point which keeps him a playoff level performer at this point. Can Morris repeat his great rookie season?? Offensive Backfield: The biggest beneficiary of RGIII was obviously first year back Alfred Morris. His 1,613 yards and 13 touchdowns were among the NFL’s best. His patient feet are key to the read option. He sets up blocks well when he gets the ball and carries out his fake well when he doesn’t get the ball. However lets face it, this will be an interesting season for him if RG III misses some time. He does break some arm tackles but can he stay so productive if he’s the focal point of the offense?? It didn’t go unnoticed the running game disappeared when Griffin III left the wild card tilt with Seattle. 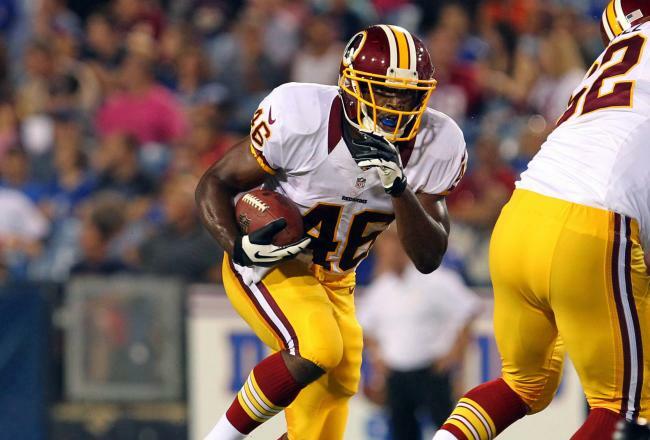 Morris keeps the running game Super Bowl level as long as the quarterback stayed healthy. Yet don’t be surprised if his rushing totals dip to 1,200 yards this season. 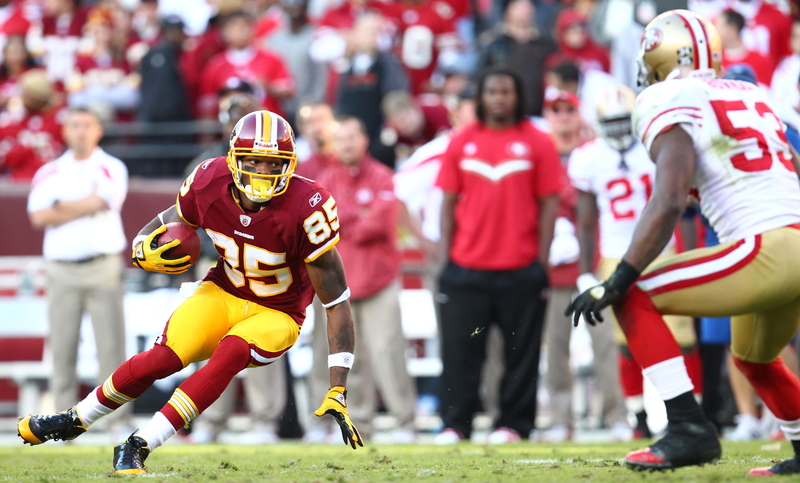 Hankerson needs to show improvement this year. He had a great one handed catch for a TD in preseason action last night. Receivers: Looking to improve at receiver, Mike Shanahan brought in 6 guys this off-season. The most notable are veteran free agents Donte Stallworth and former New Orleans Saint Devery Henderson. However when was the last time these two were top tier performers?? Returning is second year pro Leonard Hankerson who needs some more polishing after a 38 catch 543 yard 3 touchdown campaign. He’s still learning the pro game but lacks burst out of his cuts running routes. Oops, the Redskins just released Henderson. They must have been proofreading this article and asked themselves the same question. Pierre Garcon (44 rec/ 633 yds / 4TDs) and slot receiver Josh Morgan (48 rec / 510 yds / 2TDs) were solid but have limitations as well. The player that bonded with RGIII and was the most productive was grey-beard Santana Moss. He led the team with 8 touchdowns on his 41 receptions, However he will be 34 years of age and could slip due to age and the Redskins need to be prepared. Truth is the Redskins should have drafted another receiver. Shanahan must have doubts in Hankerson and Garcon or he wouldn’t have signed so many receivers this spring. They need to get better on the outside and ranks as a bad receiving group. Offensive Line: Did we see a return of The Hogs?? The Redskins dominated upfront when it came to blowing open holes for the running game. Only the Minnesota Vikings had a better per rush average than Washington’s gaudy 5.2 yard team average. They were the #1 rushing team in football and showed no nonsense power in obvious rushing situations. When it came to 3rd or 4th and short/goal, they earned the first down or touchdown 65% of the time to the weakside and 75% up the middle. Couple this with posting NFL highs in 1st downs rushed for both weakside (67) and strongside (51), you can see why the focus was to stand pat and re-sign their guys. 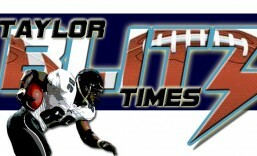 The flip side of having a dynamic quarterback who can keep plays alive is in the times he gets hit and sacks allowed. This year Shanahan will emphasize throwing the ball away to keep from getting hit 80 times while back to pass. Far too many since that ranks 23rd in all of football. Yet the team only allowed 33 sacks which ranked 13th. A majority of these happened on impromptu scrambles which will improve in the latter stages of the season. When measuring a Super Bowl level line you have to take in consideration what the emphasis of the offense is. When you can run efficiently to both sides and power up the middle, you keep the defense off balance. Defensive Line: When a team transitions to a 3-4 defense, that first year is a wash as the linemen adjust to eating up space where in most 4-3’s, they’re going after the quarterback first. Surprisingly this defense collapsed to 28th overall. This shouldn’t happen when your offense is one of the best at running the football and time of possession. The good news is the triumvirate of NT Barry Cofield, along with DEs Jarvis Jenkins and Stephen Bowen started 46 out of a possible 48 starts between them in 2012. Right now Cofield is nursing a few injuries and leads an average line. The defense is held together by the ageless London Fletcher. 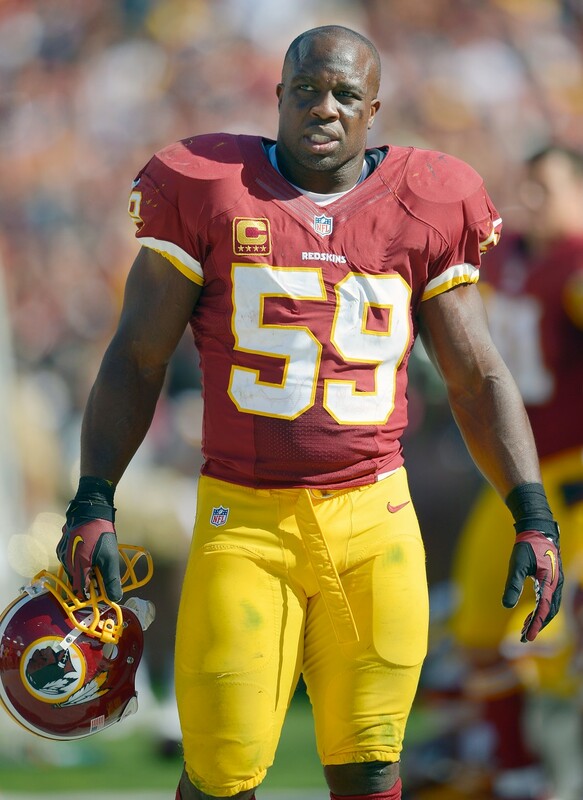 Linebackers: Holding down the middle is 16 year pro London Fletcher. Someone please get our CEO some of what he’s drinking. Are you serious?? Football is a young man’s game and at 37 years of age he had 141 tackles, 3 sacks, 5 interceptions, and 11 passes defensed. Again he looks in great shape but how long can he perform at this level?? Washington hopes at least another season. Depth won’t be a problem now they have signed LB Nick Barnett. He makes the team he will back up Fletcher and youngster Perry Riley. 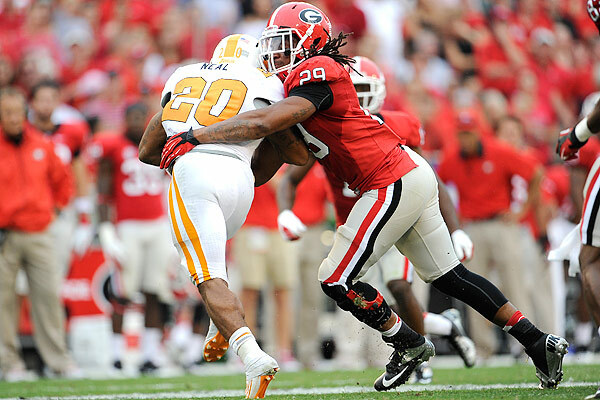 Last year, he garnered 125 tackles, 3 1/2 sacks, and 7 passes defensed. This team was active in the preseason match-up with the Steelers the other night. Experience and youth are serving in the middle. The real need is to have Bryan Orakpo back to be the trigger man for the Redskins pass rush. In a perfect world he’d have a bounce back year with 12 or more sacks. He should be fresh after missing most of last season. If Fletcher and Orakpo can perform as they have in the past, this is a Super Bowl caliber group. Rookie Baccari Rambo will get every opportunity to start for the Redskins. Secondary: There could be major wholesale change on the back side of this defense. Mike Shanahan had to face the fact that Reed Doughty and Madieu Williams are limited safeties. They combined for 1 interception and 7 passes defensed. In the 4th and 6th rounds the Redskins picked up Phillip Thomas from Fresno State and Bacarri Rambo from Georgia. Couple this with their top pick being cornerback David Amerson of North Carolina State, this team could field 3 rookies in the secondary. Think not?? Why else would you re-sign DeAngelo Hall other than help mentor a young secondary. Did you notice they waived two safeties a couple weeks ago?? These rookies are going to stick and their development will dictate if they’ll start or not. Although they have SS Brandon Merriweather starting right now, keep your eye on them this preseason. Hall turned in a decent year with 90 tackles, 1 sack, 4 interceptions and 14 passes defensed. However he is about to turn to the dark side (30 years of age) where a player can lose his prime in an individual year. When you come in 28th on defense, although you’re one of the best time of possession teams that leads the league in rushing?? You’re a bad secondary and have to take drastic measures. Overall: This team didn’t win with smoke and mirrors last year. They had an equation no one really had an answer for offensively. Let’s not forget this team was up 14-3 early in their playoff loss to Seattle. 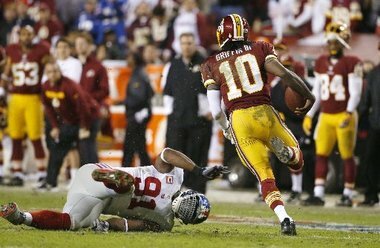 However teams have studied RG III’s tendencies and should have a better grasp of what they have to do to slow him down. That is until he breaks the pocket, then all bets are off. In all probability we will get the same RG III when it comes to spontaneous play. He can’t change who he is. However the maturation has to come from his knowing when to slide to protect himself from the bigger hits that occur downfield. What will be challenging for this team defending their NFC East Title is a much rougher schedule down the stretch. In weeks 10-15, Washington is on the road to Minnesota, to whom they nearly lost to last year. On the road to Philadelphia, home to San Francisco, the New York Giants, and the Kansas City Chiefs. Then they travel to Atlanta to play a Falcon team who will be vying for home field advantage. The Giants and 49ers are the last two NFC Champions who have Super Bowl aspirations as well. How they do in this stretch is how they’ll fare for the season. Last year the Redskins swept the Cowboys and the Eagles and split with the Giants within the division. With Bryan Orakpo back to bolster the defense, they should stay with the Giants who will battle them for NFC East supremacy in 2013. This team isn’t ready to repeat the playoff run they had last year due to a much rougher schedule. The Chancellor sees the Redskins finishing at 9-7 or 8-8 this year. Mike Shanahan is one of a long list of coaches who fell into some good situations and were given more credit than they really deserved. He was the quarterbacks coach and offensive coordinator for the Denver Broncos when John Elway led them to the Super Bowl yet this was a Hall of Fame talent already in tow. 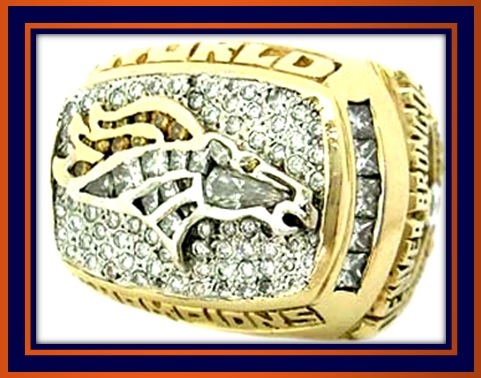 What is missed during those years is everyone forgets that the 1986 Denver Broncos were #1 in the AFC in defense and were highly ranked in 1987. We tend to forget that when we remember those defenses collapsing in the Super Bowl against the Giants, Redskins, and 49ers respectively. When he finally was given a head coaching job with the Los Angeles Raiders, his results were terrible. He had a losing record (8-12) and was fired mid season. 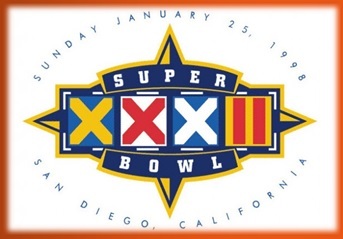 Funny thing is 1 1/2 years later Art Shell had those same Los Angeles Raiders in the 1990 AFC Championship Game in Buffalo playing for the right to go to Super Bowl XXV. So don’t sell me on his expertise. Here is where it gets interesting. The San Francisco 49ers offensive plays, playbook, and ALL training sessions were all on video for the incoming offensive coordinator. From Bill Walsh on down. There was no serious input and you HAD to learn how the 49ers ran their offense period to be hired as a coordinator. So when Mike Holmgren was hired away to be the Green Bay Packers head coach, Shanahan was hired on and had to learn their system. 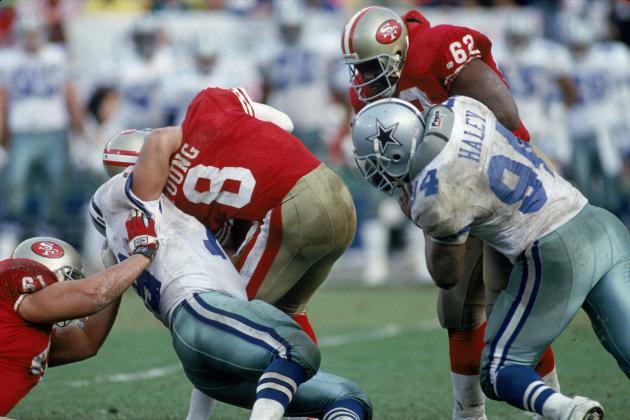 Holmgren had just led the 1988 & 1989 Super Bowl champion’s powerful offense. 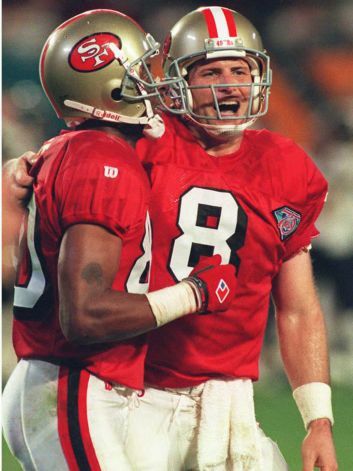 Throw in the 14-2 1990 season where the 49ers made the NFC Championship Game, and then in ’91 they again had the #1 offense although Joe Montana and Steve Young missed significant playing time. So when they hired Shanahan in 1992 the 49er offense was already a juggernaut. They ranked highly through the Super Bowl XXIX triumph that made it seem as though Shanahan was some genius when he ran what was already in place in deployment and personnel. Now we know he inherited Hall of Famer John Elway when he became head coach of the Denver Broncos in 1995. By a twist of luck they had Terrell Davis develop as a running back. He installed a running offense and signed a ton of defensive free agents to fortify the defense and he was rewarded with back to back Super Bowls. He coached well and had the pulse of his team along with defensive coordinator Greg Robinson. Yet for all his offensive acumen he hasn’t developed his own quarterback having inherited Steve Young and John Elway. He drafted Brian Griese in 1998 and that didn’t work out as well as Bronco fans would have hoped. He traded away for Jake Plummer who did play good enough to help the Broncos to the 2005 AFC Championship, yet they were upset at home. From 1999-2005, a 7 year period, he only won 1 playoff game after the retirement of John Elway. With the help of Alex Gibbs zone blocking schemes the Broncos did provide many a 1,000 yard rusher starting with Terrell Davis. Mike Anderson and Olandis Gary were surprising 1,000 yard rushers in Davis’ absent to knee injuries that derailed a Hall of Fame career. Then with the 2002 NFL Draft, the Broncos nabbed Clinton Portis off of the NCAA Champion Miami Hurricanes. Clinton seemed he would be a serviceable back although he had an outspoken personality. What happened?? 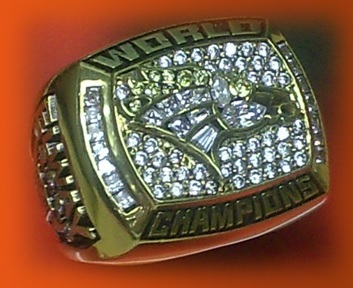 Clinton Porits turned out to be the most prolific back, for their first two years, in the history of the Denver Broncos. Where Terrell Davis rushed for 1,117 and 1,538 yards his first two seasons, Portis burst onto the scene to the tune of 1,508 and 1,591 yards. 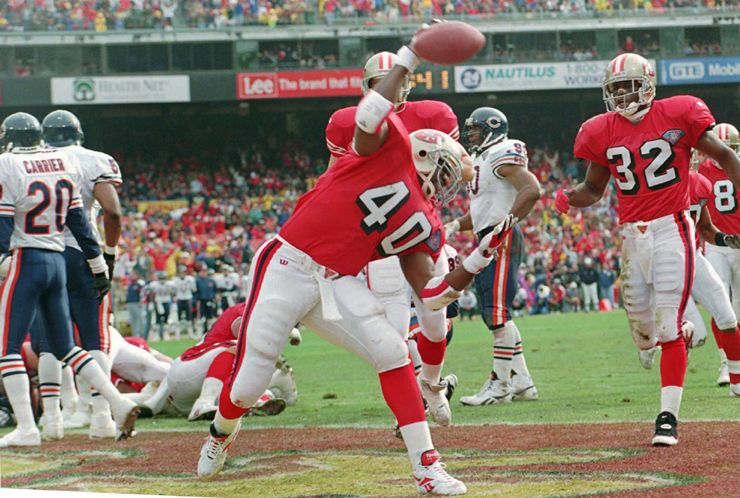 Portis also scored 29TDs to Davis 20TDs while garnering the AP Offensive Rookie of the Year for 2002 and setting an NFL record of averaging 5.5 yards per carry for his first two years. He also became the youngest player in league history to have a 5 TD game and was a rising star. So did he build another champion around a talented running back? Nope. He traded away one of history’s most prolific backs for CB Champ Bailey. Not only did the Broncos not improve on their defensive statistics in terms of touchdowns given up, guess what happened with their star cornerback in tow?? The ’04 AFC Wildcard Tilt saw Peyton Manning throw for the most yards EVER in the playoffs for a non overtime game with 457 yards passing while losing 49-24. Now thats genius!! The record is Bernie Kosar [The U] who threw for 489 yards in a double overtime victory over the Jets in the 1986 divisional round. Peyton almost did that in 4 quarters. Yikes! So where did the genius mantle come from? He did win 2 straight Super Bowls with the NFL’s all time winningest (at the time) quarterback in John Elway, but where is the other developed talent? Where is the other quarterback he’s groomed into an elite passer whether we are talking about Brian Griese or even Jake Plummer?? So now here we are with his on again off again mistreatment of Donovan McNabb. He won’t give him a vote of confidence in being the starter yet this lockout is keeping him from trading Donovan. Shanahan is the same coach who put McNabb in the news signing him to a huge contract extension only to bench him two weeks later. Lets face it the re-signing was only to back-load the contract money to years McNabb would not see. For a reason that has not been introduced to us this seems to have gone into the realm of the personal. Once you look at the body of work, I don’t see an elite coach. I see an old coach who is achieving what he always has: marginal years with a couple playoff years. Doesn’t really develop any of the talent he drafts and is callous to many of his players. Rod Smith and Terrell Davis the notable exceptions. I think the sand is out of his hour glass and he won’t be coach of the Redskins after this season with a sub-par performance. I would like to word things differently Redskin fans but I call them like I see them. He is overrated and past his prime. The Albert Haynesworth debacle withstanding, what has he really done in Washington? Its hard to see the present situation with Donovan McNabb as anything other than personal. Now the NFL lockout is keeping McNabb in place to prolong the agony which is unfortunate.